Bacteria in the mouth cavity form plaque and tartar buildup, leading to gingivitis and periodontal disease. 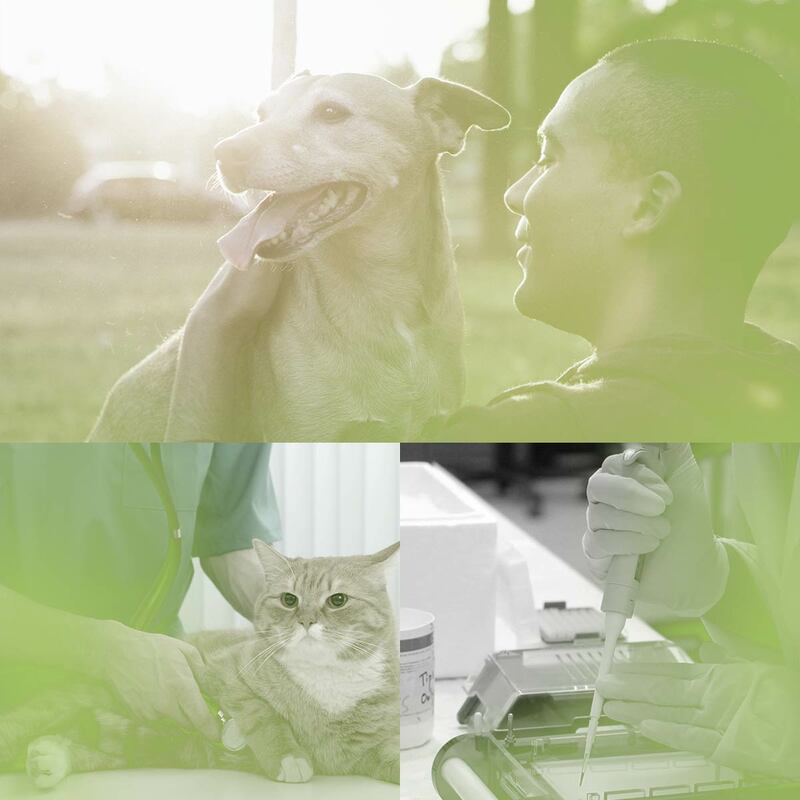 Kane Biotech recently introduced its companion pet water additive and oral spray into the veterinary and pet specialty markets. This patent-pending technology works against dental disease-associated bacteria by altering the mouth’s environment. It breaks through dental biofilm – a highly structured, matrix-embedded microbial population – leaving bacteria otherwise inaccessible exposed for eradication by a microbial agent. The products are approved by Health Canada’s Low Risk Veterinary Health Products (LRVHP) program. Kane Biotech has both in vitro and in vivo third party clinical studies to show that the product is effective against bacteria associated with dental plaque, tartar and periodontal disease. It is palatable and acceptable to dogs and cats, and is superior in terms of safety and efficacy compared to other commercially available products. 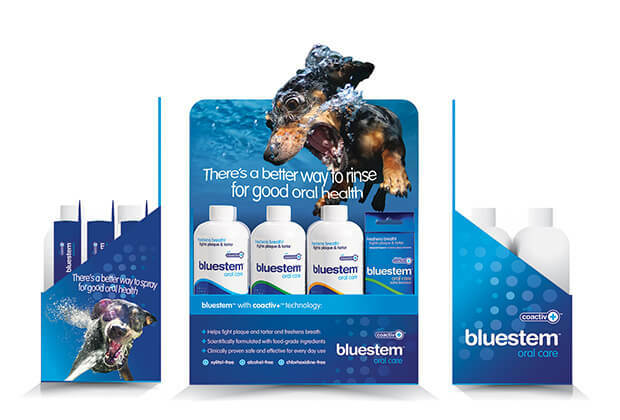 Kane Biotech recently introduced its line of companion pet oral care products into the veterinary and pet specialty markets. This patent-pending technology works against dental disease-associated bacteria by altering the mouth’s environment and depriving the bacteria of key nutrients and biofilm building blocks. This weakens dental biofilm making it easy to disperse and leaving bacteria otherwise inaccessible exposed for eradication by a microbial agent. 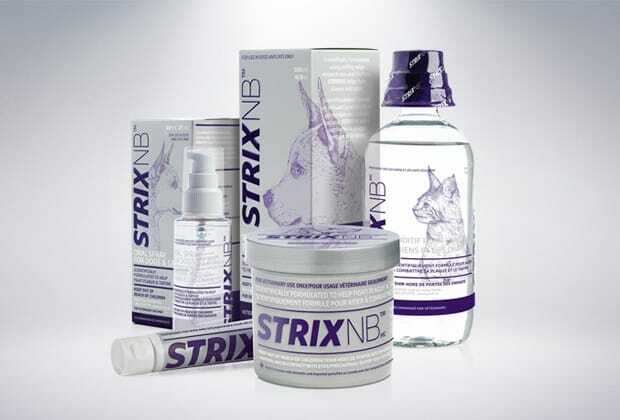 StrixNB products are available in the veterinary channel. The technology works against dental disease-associated bacteria by altering the mouth’s environment. StrixNB contains binding agents that attach to the bacterial food source and wash it away, causing the biofilm to weaken. Eventually the layers of plaque and tartar build up begin to soften. The tartar can then easily flake and break off, leaving the mouth cleaner, healthier and with fresher breath. During testing, veterinarians found 92% of dogs using StrixNB showed significant improvement in their dental health and oral hygiene. During a controlled, 3rd party scientific study, dogs were given StrixNB water additive in their daily drinking water. By 84 days the dogs showed a 25.4% reduction in tartar – without the support of any mechanical action. Kane Biotech is developing an anti biofilm and anti-microbial shampoo for dogs, cats and horses which contains GRAS (Generally Recognized as Safe) natural ingredients to sooth and protect against the symptoms of atopic dermatitis. Other atopic dermatitis products generally contain therapeutic agents such as salicylic acid, coal tar, sulfur, selenium disulfide, ammonium lactate, benzoyl peroxide, chlorhexidine and ethyl lactates. These agents can be harsh and not suitable for regular use. There is a need for a shampoo containing effective and safe ingredients. During testing, veterinarians found that over 90% of dogs using Alosera Shampoo showed significant improvement in their skin and coat. According to Veterinary Pet insurance, ear infections (otitis externa) was the number one reason for canine vet visits in 2015. It is estimated that up to 20% of dogs are affected by this disease. Kane Biotech is currently developing an otic drop that will disperse the biofilm and aid in the prevention and treatment of chronic ear infections.